Committee Counsel J. 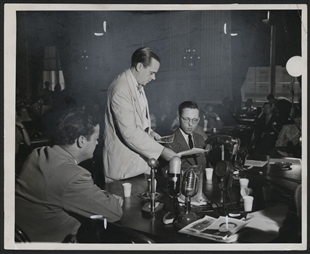 B. Matthews questioned former communist Ezra Chase during a 1940 hearing of the House Special Committee to Investigate Un-American Activities, chaired by Martin Dies and better known as the Dies Committee. 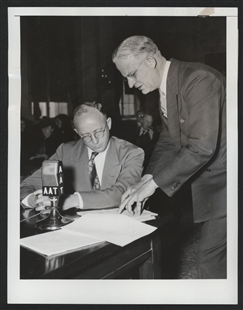 The Committee, precursor to the House Un-American Activities Committee, focused on the threat of communist infiltration from the late 1930s into the mid-1940s.